Li: "Those prepared to come together to forge proprietary digital platforms that will be used by their different brands will have the recipe for success." That’s the takeaway from an editorial written by the owner of China’s biggest non-state automaker in Frankfurter Allgemeine Zeitung on Sunday. 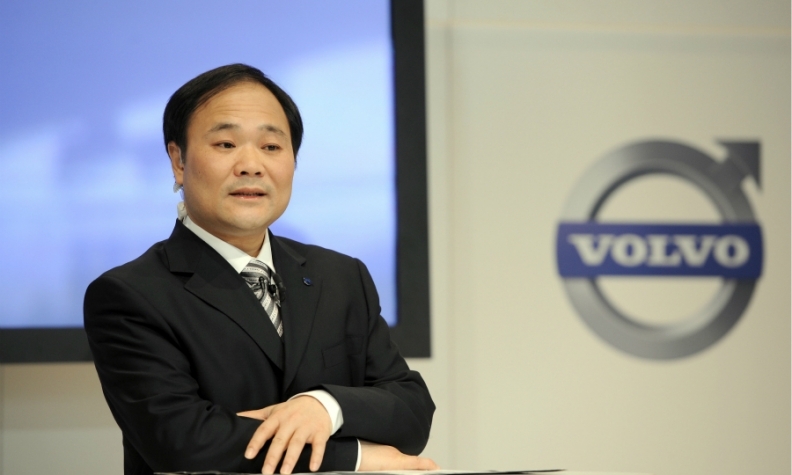 Li, who in February bought a 9.7 percent stake in Daimler to add to his ownership of Volvo Car Group, said traditional automakers need to “wake up” to make the switch to a business model based more on sharing technology to generate acceptable returns in future. Daimler’s position on partnerships with the company’s new biggest shareholder has been far more tepid. The world’s biggest luxury automaker and commercial vehicle maker acknowledged “good conversations with a very successful entrepreneur” after an initial meeting, but emphasized any collaboration would hinge on keeping its existing partnerships in China happy. Since 2010’s acquisition of Volvo Cars from Ford Motor and 2013’s purchase of the iconic London Taxi Company, which has since started making electric black cabs, Li has added to his web of foreign brands and companies. Last year, he gained control of British sports-car maker Lotus and became the biggest shareholder in Volvo AB, the second-biggest truckmaker. “Those prepared to come together to forge proprietary digital platforms that will be used by their different brands will have the recipe for success,” Li said. That said, reaping global economies of scale together had to safeguard brand and management autonomy, he added. Daimler, like other automakers, has stepped up forming cooperations as manufacturers face an unprecedented rate of change, including the rise of electric cars and changing customer behavior. Last month, BMW and Daimler agreed to combine their respective car-sharing services to gain clout amid intensifying competition. Earlier, Volkswagen Group’s Audi brand, BMW and Daimler agreed to buy a real-time map business, called Here, to gain technology that’ll eventually form the basis for self-driving vehicles.